Prosteel, from Bentley, is an engineering software product, used to create 3D models of structural steel, metal works, and concretes.It is an important application for 3D structural and metal designs, used by structural engineers, detailers, and fabricators. As a comprehensive software tool, the software supports all construction and planning tasks related to structures of all types.ProSteel works on both the MicroStation and AutoCAD platforms. Why Prosteel is important to you? With ProSteel software you can efficiently create accurate 3D models for structural steel, metal work, and steel assemblies.You can then quickly generate design drawings, fabrication details, and schedules that automatically update whenever the 3D model changes. Additionally, detailed output to CNC machines automates the steel fabrication process. ProSteel fully supports your construction and planning tasks for structural steel and metal work in a 3D modeling environment. Interfaces to structured analysis programs, and to programming for user defined applications. You will learn how to design, document, and detail composite structures. You will know how to design miscellaneous steel such as stairs, handrails, ladders, circular stairs. 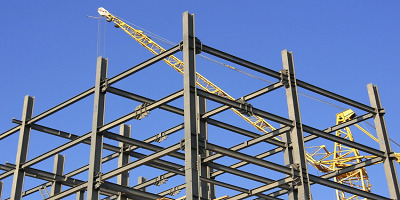 You will learn to design bracings, truss and lattice girders, trellis, ladders, purlins. You will learn how to layout complex structures, produce shop drawings, assemble all connections, and manage bills of materials. Kannur - 670002, Kerala, India. Kannur - 670101, Kerala, India. Fort Road, Kannur - 1, Kerala, India. © 2017 CADD Centre Kannur. All rights reserved.